Alyssa is a senior associate at Hamilton Place Strategies. She works with clients to develop strategic communications plans through message development, creative content and data visualization, media outreach, and digital strategy. She specializes in health care policy and innovative energy solutions. Prior to her work at HPS, Alyssa worked at Blue Cross Blue Shield of North Carolina where she helped to develop social media content and communications materials to educate members of their insurance policy and program changes. Alyssa also has experience in energy policy, having interned in the federal affairs department for Salt River Project, a power and water company based out of Arizona. 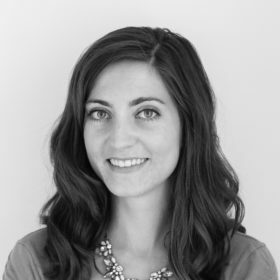 Originally from Scottsdale, AZ, Alyssa graduated from Duke University with a degree in Public Policy and an emphasis on policy journalism and media studies. While there, she worked for four years on the advertising team for the Duke Chronicle and was a competitor on the Duke Ski & Snowboard team.